Military inspired looks continue to dominate this season. 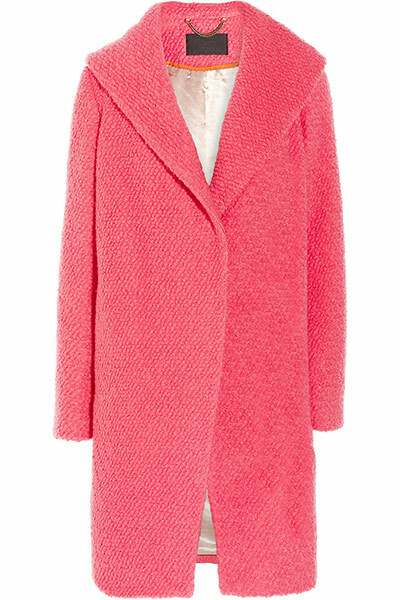 Choosing the best coat to keep you warm and stylish is perhaps one of most challenging tasks when shopping. My suggestion is to have three coats for this season. One casual, a professional look and the go-to for those sub-zero temps. Some of the key trends for the season include bright color, military styling, mixed textures and patterns. For that professional look keep the styling simple and choose colors and textures that give a modern feel. Silhouettes that are classic like a trench inspired look have a lasting appeal and can be worn for years to come. When staving off the bitter cold, finding down filled, water-resistant jackets are usually best. Fighting the bitter cold also is about layering the right clothing under your jacket. Down-filled, fur-lined coats keep the winter cold at bay.